One regular observation about PRWeek's Agency Business Report is that the big agency profiles feature a gallery of principally white middle-aged men. This year I'm pleased to say things are changing and the top levels of PR firms better represent the gender makeup of the industry. 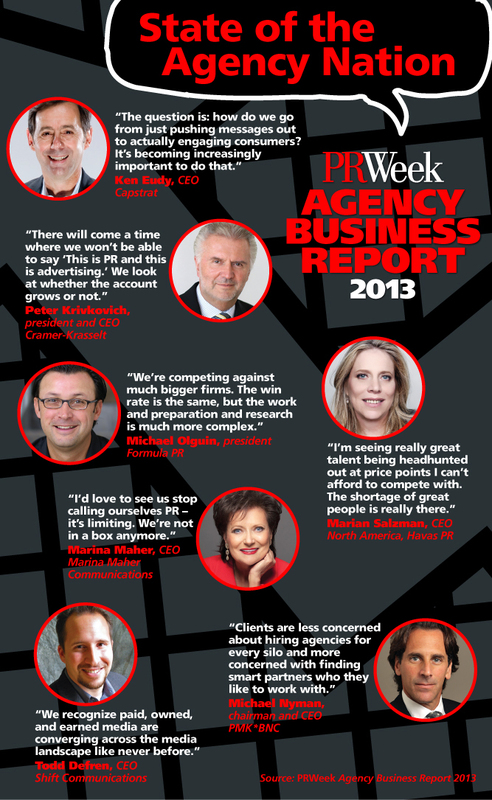 *Figures formally submitted to PRWeek for agency rankings. Other figures are PRWeek estimates for 2012.